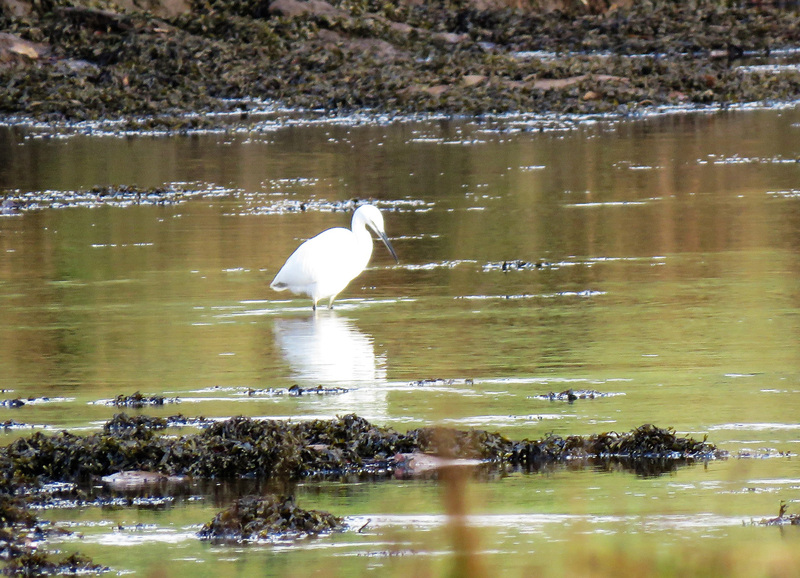 KINTYRE: The Little Egret was still at Waterfoot, Carradale yesterday (Alasdair Paterson). COWLAL: The Little Egret was still at the Holy Loch today (Alistair McGregor). TIREE: A ‘Siberian’ Chiffchaff was at Balephuil today. Yeterday – 1 Jack Snipe was at the Reef and 2 Coot at Loch Bhasapol (John Bowler). 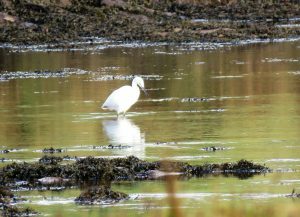 LITTLE EGRET – Carradale 1st Nov (Alasdair Paterson).